CARDIFF’S own Capital City Jazz Orchestra are back by popular demand at St David’s Hall on Tuesday 27 September. Joining them as special guest in the L3 Lounge is award-winning saxophonist Nigel Hitchcock for an exciting evening of jazz and Big Band music. 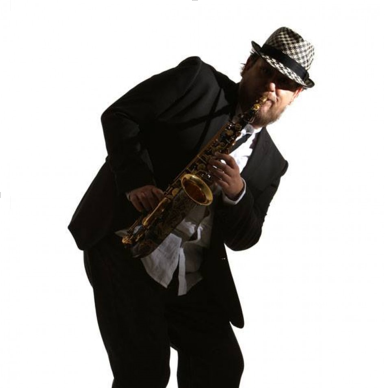 From his early days with the National Youth Jazz Orchestra and the contemporary saxophone quartet Itchy Fingers, Nigel has gone on to work with everyone from Ray Charles to Robbie Williams and is in demand worldwide as a soloist and session musician. The Capital City Jazz Orchestra was formed in 2007 to play once a month at Dempsey’s Jazz Club in Cardiff and have gone from strength to strength. Since then they have worked with iconic artists and appeared at International Jazz Festivals including Swansea and Brecon. Celebrate the feel-good factor of the best Big Band music with the Capital City Jazz Orchestra at St David’s Hall!